Now this really has nothing to do with anything except I'm sitting here in an air conditioned room sweating! It's 29 degrees Celsius (84 F.), and very humid. This leads me to thinking about cooler weather...which leads me to thinking about cooler places...which leads me to thinking of New York in November...which leads me to thinking of the Rockettes Christmas Spectacular...which leads me to thinking...I wonder how one becomes a Rockette? 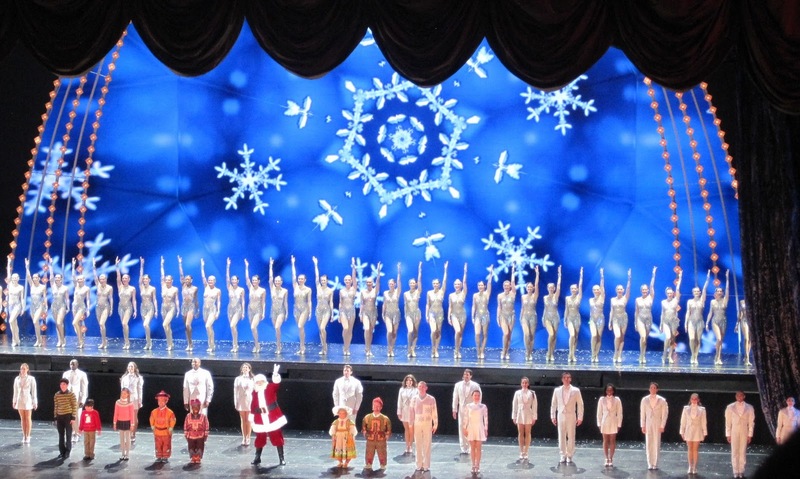 Rockettes must be between 5'6" and 5'10" tall. Oh. Rockettes must be proficient in jazz and tap. Oh. It's different if you want to be an ensemble/principal performer but that sounds too hard. You have to sing and dance at the same time which is a lot harder than walking and chewing gum at the same time. I suppose you can't consider the job requirements discrimination - wouldn't be much of a show with row upon row of height challenged people that can't dance or sing. Still, the tickets would be cheaper! The Rockettes performed as part of opening night at Radio City Music Hall in 1932. In 1936, the troupe won the grand prize at the "Paris Exposition de Dance."